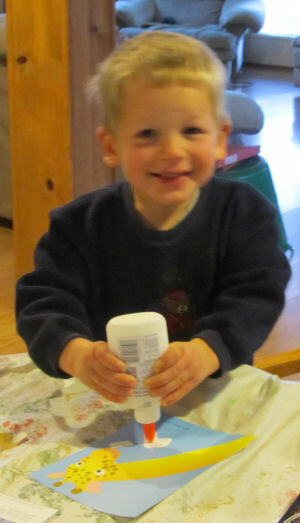 You are currently browsing the Homeschooling adVentures blog archives for February, 2013. I am a great believer in teaching children to think through things. Not a day goes past for any of us when we do not have to find a solution to a problem. It may be as simple as there not being a clean shirt for someone to wear & figuring out to to improvise until the laundry is washed & dried OR it may be something way more serious that requires some complex problem solving skills to figure out an answer. How we decide to act in response to the problem can, when serious, bring about good or dire results. SO how do we train our children to think through their actions? Yes we can talk to them but many times that advice will go in one ear & out the other side! Another way is through games. 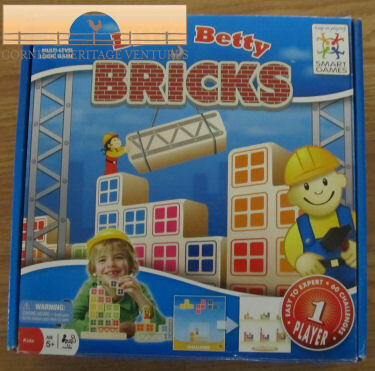 Long ago we discovered Logic puzzles & since then a couple of companies have expanded their offerings so that kids from preschool up can play. Let me share some examples with you. 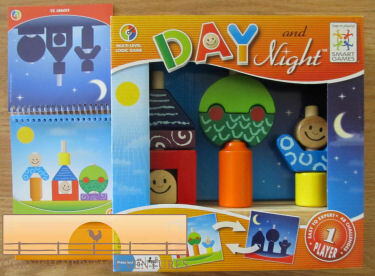 Caleb just started with Day & Night by Smart Games designed for children aged 3 & up. The puzzles start off really simple showing him a full color picture that he has to duplicate with the pieces of the puzzle. As the game progresses he will have to recreate the picture just by looking at a shadow image. Hannah & Richard are working through Bill & Betty Bricks. They have to build a building as shown by the shape. 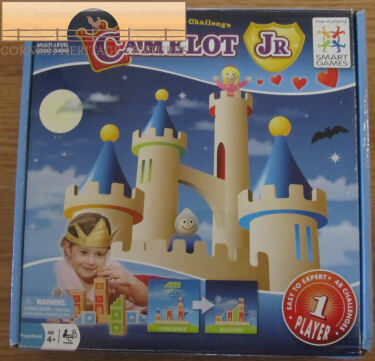 Before that she completed Camelot Jr – a game where the prince has to rescue the princess. 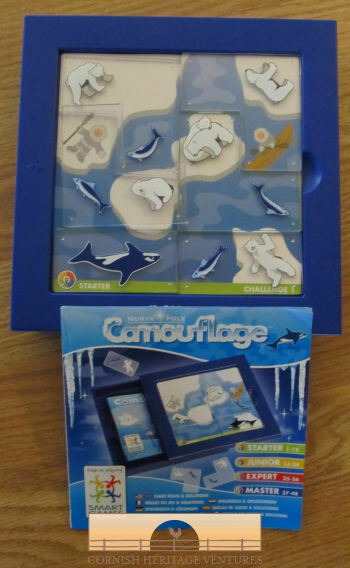 Daniel & I just finished Camouflage – a fun game with Polar Bears & fish. 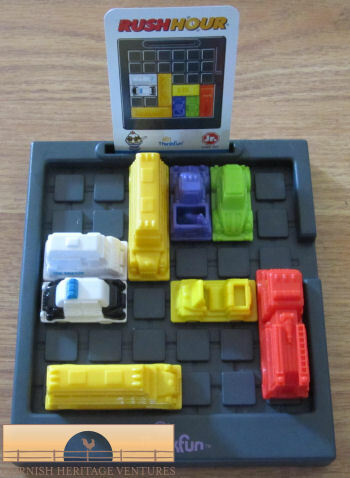 Now he is playing Rush Hour JR from ThinkFun where he has to place the vehicles on the board as shown on the card & has to figure out how to get his Ice Cream Van out of the jam. Many of these games can be found used or much cheaper on Amazon or Ebay. At a younger age these games do need parental supervision but as children mature they should be able to play them by themselves. 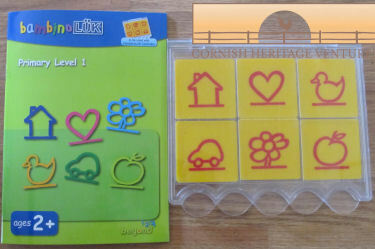 We have several of the games for older kids through to adult that Michelle & I have done. We use these logic games as part of our schooling each day. Even if your children are in public school you can still have these games are home for them to enjoy. As he has seen Hannah working with it he knew exactly what he was meant to do. Very very simple to start with but he loved it. 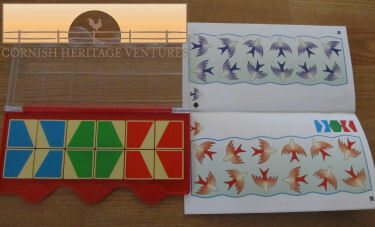 You start off with the tiles in the top tray & have to put those tiles in the correct place in the bottom tray. 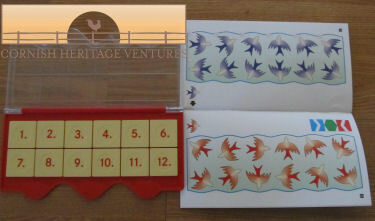 If you place them correctly the pattern on the back of the tiles will match the ones on the back. Hannah is now using a different controller with numbers & it encompasses math, patterns, comprehension etc. You always start with the numbers in order in the bottom of the tray. 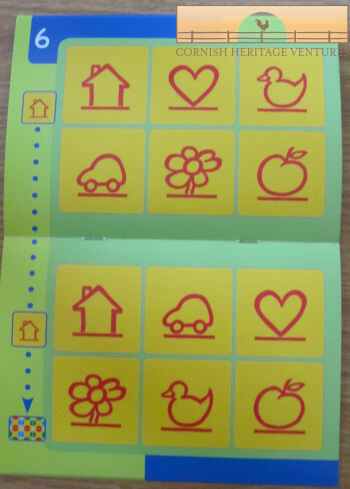 In this example, Hannah had to figure out where #1 blue bird is on the bottom page in red. Once completed & all the tiles are placed on the clear part of the tray, you close the controller up & check the pattern on the back.